Hello community, im sure most of you know who I am, especially over in the Trollslum and the Mafia subforums, but im in general just making this so i can have a place for various contact things in case people wanted to idk, check out what my tumblr is like, or if you are interested in any RPs outside of this forum like this one im in(.) or if anyone wants to test their might against me in Super Smash Bros 4. But yes, I am a relatively active user on the forum, i try to participate in the general forums games sometimes, and I like to play League of Legends, Starbound, Skyrim, and my 3DS. In general my username on most things is "sprityo" (spr-it-yo) a name i have always used forever (it rolls off the tongue nice even). So LoL, Xbox, etc. My story is pretty much the same as everybody else's. I came here from the MSPA forums, where I go by the name SburbanWalrus. Two Walruses... is this a sign of an upcoming takeover??? But seriously, welcome! Always good to get new people, especially from the forum we started out at! Oh, is there already somebody with "walrus" in their username here? I didn't know. Yeah Purple Walrus. He's around from time to time, you'll probably run into him. I'm sure as fellow walruses your friendship or rivalry will be immediately established. How are you! Where're you from? What're you looking forward to doing 'round these parts? People SAY that, but them they find out I hate Star Wars and chocolate cake. Oops, yeah. To be serious, I came to the game design forum to design some games. And I am from planet earth. ...okay, maybe that wasn't very serious. I exist, therefore I am... someone who exists. Hello fellow extant being from planet earth! Welcome though, I hope you have a good time here! I am a newb to mafia games, and that's exactly what I'll be playing. Press my button (in spoiler) 100 times consecutively. I think we need to reduce spook emissions. Making everyone's day 6.1% spookier has resulted in the ozone layer looking at least 0.0001% spookier. It now looks... very slightly like a bedsheet. The kind you would poke holes in and drape over yourself to look like something spooky. Like a GHOST. 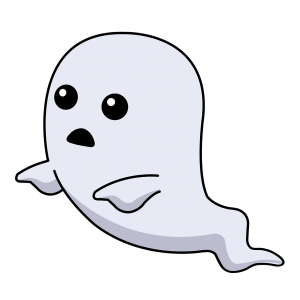 I for one am not a ghost. Welcome to our forum, and I look forward to playing with such a spirited person! (09-28-2015 10:50 AM)Palamedes Wrote: I for one am not a ghost. Welcome to our forum, and I look forward to playing with such a spirited person! Hi, welcome to the forum! Don't worry about making mistakes, we're all prone to do it every now and then. Look forward to playing with you soon! Anyway, welcome to you, N30N. I feel like there should be one thread for this. Ah, well. Hello, all. I'm elementaryMydear. Some of your may know me from the MSPA forums for my forum adventures Horns and Aftermath of Secrecy. I'm also known as Calvinball or calvinball on a couple other forums, so you might see me around here and there. I've got a sort of mystery game that I've shared on a couple forums, and I wanted to share it with my peers on the MSPA forums. Tragically, the MSPA forums do not have a game section anymore, and instead they direct all their members here to the Chocolate Pi forums. Regardless, I plan on sharing this particular mystery game and hoping for the best. Hope you enjoy it when it shows up! RE: I feel like there should be one thread for this. Ah, well. Greetings and salutations! Now let's all stand up for roll-call!
. . . what do you mean "not that kind of elementary?" Yeah im not exactly sure why we havent merged this all into a topic yet either, haha..
Hello. I am Enderprince36, Knight of Life, located at LOTAS(Land of Tech and Snow). I am a HUGE Homestuck fan. I am looking forward to getting acquainted with the way things work on these forums and will be checking back regularly. You know that moment where your friends annoy you to the point where ya wanna strangle them? Cool, and welcome! The Homestuck RP base has dwindled somewhat but I'm sure new blood would help revitalize it, and there's plenty of other fun (related and otherwise) to be found everywhere else. Nice to meet you! welcome to our game forum! I have not been very active recently due to things in my life, but I am now going to try to be. Ayyyyyyyyy! I exist, I guess! But not wanting to leave this as just some corny introduction thingy, allow me to ask: Where do I go to start a Character Development Assistance forum thingy? I mainly want to do one because I want some help on a character I'm trying to develop, but at the same time: Why not make it fun for EVERYONE, right? As for help with a character... Well, sorry to break it to you, but roleplay is kind of dead here? You could probably try posting in the roleplaying subforum, but i dont think you will get much in the way of an answer. That said, you could try to revive it! I would recommend taking a look at our other game forums too though because there's a ton of fun to find there. Destroy the Godmodder is homestuck themed, so starting there would be both a good foray into our more popular subforums and also serve as a good way to keep involved while you wait on character input. And whether you get that input or not, I hope you find something fun to do around here. Welcome! I honestly can't decide between a non-serious mystical intro and a dry intro with an air of disinterest so I've decided to just say hi. Also I suppose I should say that none of you know me or likely would care to. I just wandered in. Hey! Its actually great seeing someone new, we dont exactly get many visitors. Welcome to Chocolate-pi! Yeah, welcome! New blood's always exciting, especially when they just jump right in. Looking forward to getting to know you!